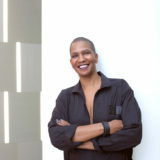 Join us for a celebration of Pamela Sneed‘s Sweet Dreams (Belladonna* 2018), a hybrid work of poetry, essay, and memoir that confronts issues of in/visibility; relationships, community, and inclusion/exclusion; writing and transformation–through anecdotes from Sneed’s own life, interwoven with analyses of pop culture, and buoyed by the wisdom of mentors such as Sekou Sundiata and Audre Lorde. Pamela will be joined by special guest readers Shelley Marlow, Roya Marsh, and Tracie Morris. Shelley Marlow is the author of a novel, Two Augusts In a Row In a Row (Publication Studio Portland 2015) and the art edition of Two Augusts In a Row In a Row with drawings and paintings by Marlow (Publication Studio Hudson 2017). Marlow was awarded an Acker Award for avant garde excellence in writing in 2017. 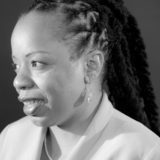 Bronx, New York native, Roya Marsh, is a nationally ranked poet/performer/educator/activist. 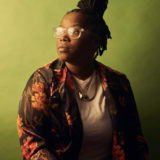 She is the Poet in Residence with Urban Word NYC and works feverishly toward LGBTQIA justice and dismantling white supremacy. Roya’s work has been featured in Poetry Magazine, Flypaper Magazine, Frontier Poetry, Nylon Magazine, the Village Voice, Huffington Post, Blavity, The Root, Button Poetry, Def Jam’s All Def Digital, Lexus Verses and Flow, NBC, BET and the Breakbeat Poets Black Girl Magic Anthology (Haymarket 2018).